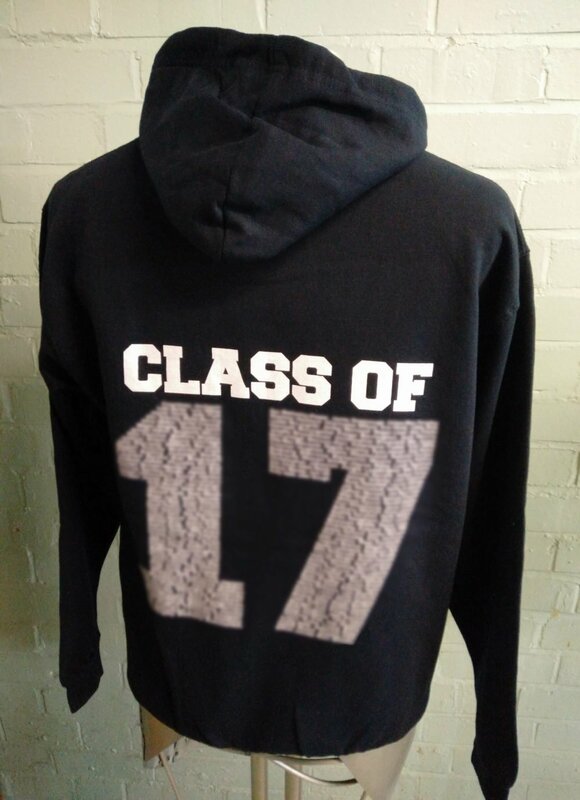 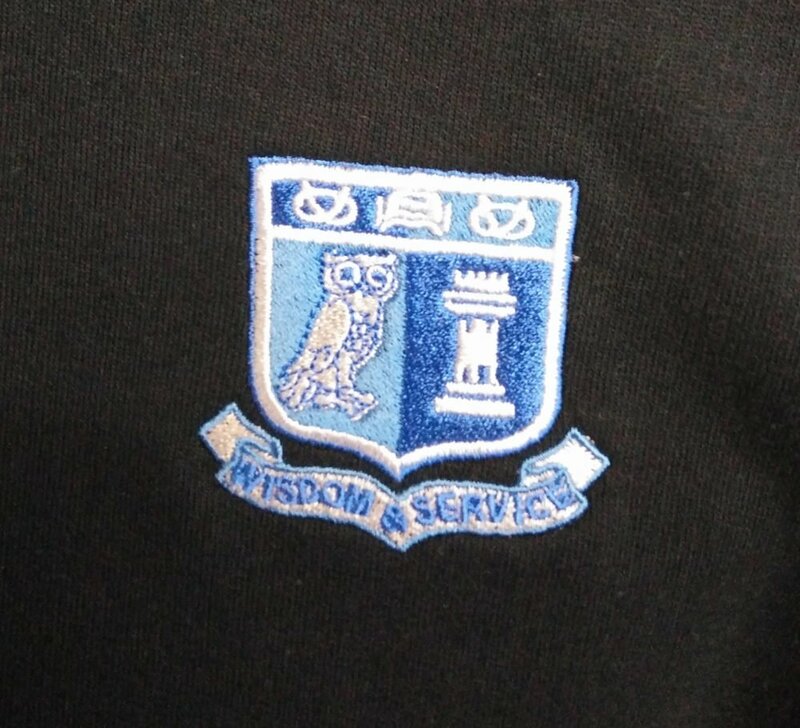 These Black Duo Colour Leavers Hoodies for the Class of 2017 are great. 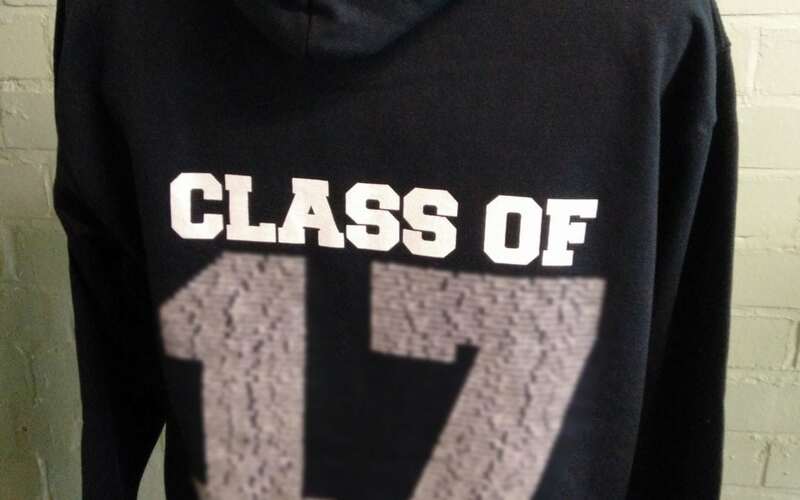 With grey inside the hood. 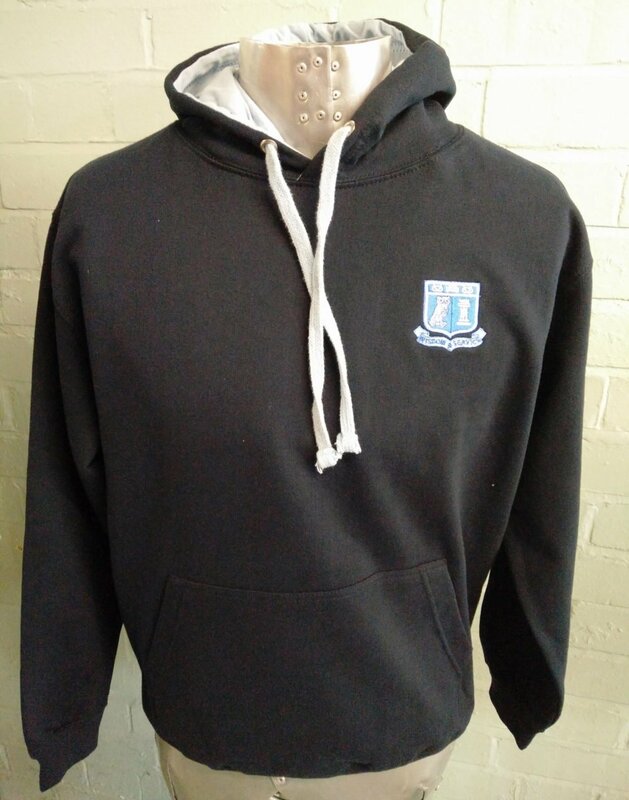 They have custom embroidered logos on the front and Leavers Names print on the back.